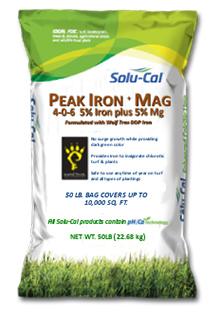 Give your turf a great summer with Solu-Cal PEAK Iron + Mag. Fostering no-surge growth while promoting dark green color. * Wolf Trax® and DDP® are registered trademarks of Wolf Trax, Incorporated.